The critically acclaimed director had three decades of film experience to bring to his television venture. Although he only directed about 20 of the more than 100 original shows, his stamp was on every story. Who can forget the camera showing him in silhouette? The story goes that this profile sketch is from a Christmas card designed by Hitchcock when he was in England. Evil did very well in Hitchcock stories. But he had network moral codes to get past, so he’d come on after the story had ended with that clipped British accent of his and add a postscript which allowed good to triumph. The show moved from CBS to NBC in 1960 where it remained for two years until CBS brought it back. Renamed The Alfred Hitchcock Hour the show was now an hour format. Unbelieveably, it went back to NBC as a hour show in 1964, but that was the last season. 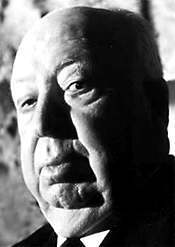 Alfred Hitchcock never won an Oscar for directing though he did receive the Irving Thalberg Award in 1967. Now for the truly bizarre. NBC revived the “Alfred Hitchcock Hour” in 1985 with all new episodes. And there he was, every week, now in color. FIve years after his death. 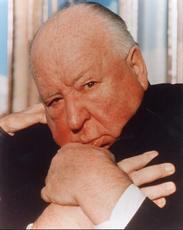 Alfred Hitchcock died in 1980 of renal failure.